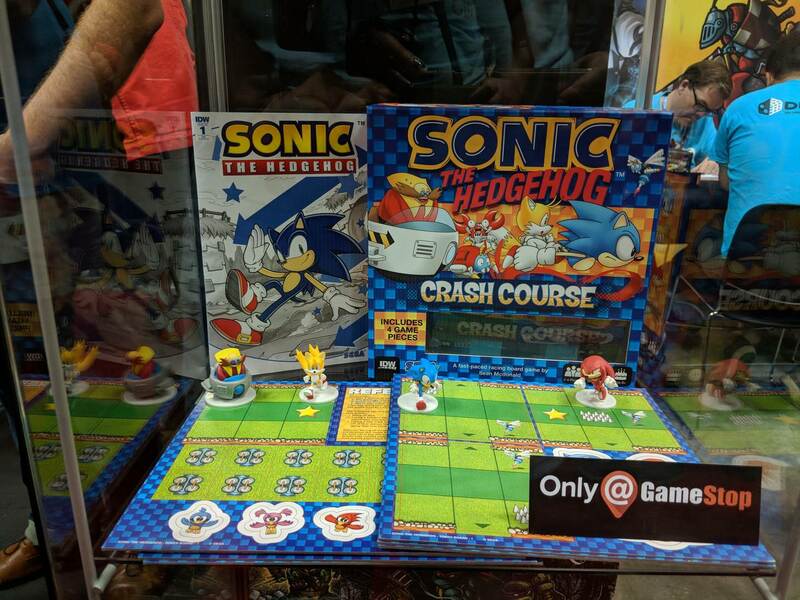 As July 25th came around, I promptly stopped by my local GameStop where I had pre-ordered a copy of IDW Game’s Sonic Crash Course board game that was scheduled to be released that day. Much to my surprise the helpful employee informed me that they unfortunately did not have it and that the release date, in fact, had been pushed back to September 15th! Disappoint, I accepted this fact, and later confirmed it on their website. I was never informed of this delay, nor could I find any announcements across the internet that I might have missed. I can only surmise that there has been some complication in manufacturing that has delayed the game’s release since it was on display this past weekend at Gen Con. So unfortunately, any review of the game, and the much desired exclusive issue #1 variant that will come with it, will have to wait another month and a half! If any news breaks regarding this issue, we will be sure to let you know! Next BumbleKast #74: Archie Characters in IDW?